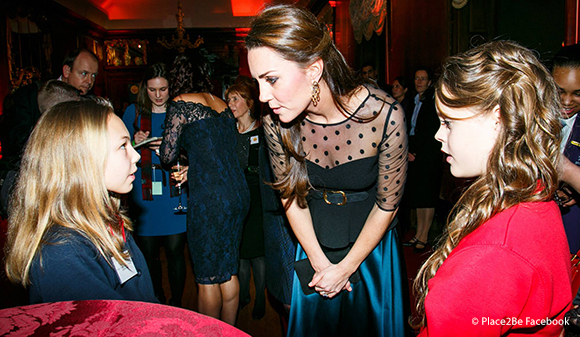 In July 2012, the Duchess of Cambridge wore the Hobbs London Wessex dress to an event in Rotherhithe, London to launch a new charity initiative along with Princes William and Harry. 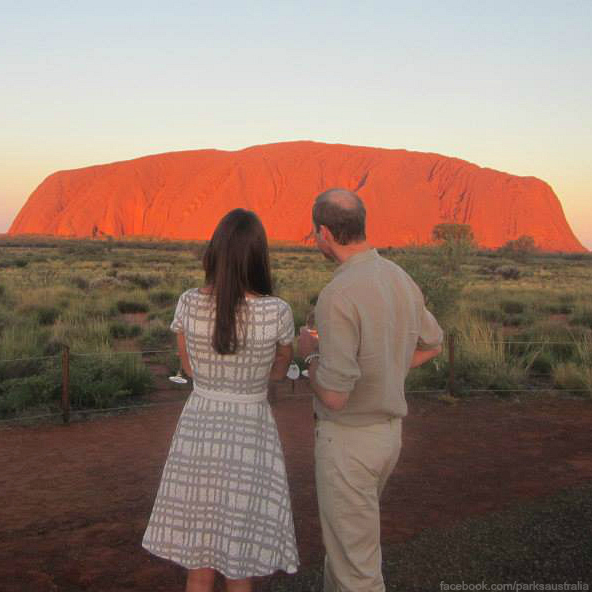 In 2014, she wore the dress again, during the tour of Australia and New Zealand, during a visit to the Uluru Cultural Center. 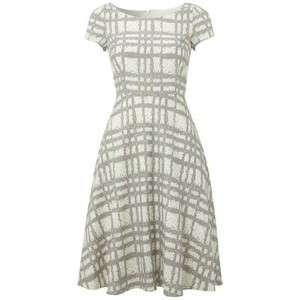 The Hobbs dress is made from linen. It features short, capped sleeves, a boatneck, a fitted waist and bodice, plus a concealed zipper at the back. 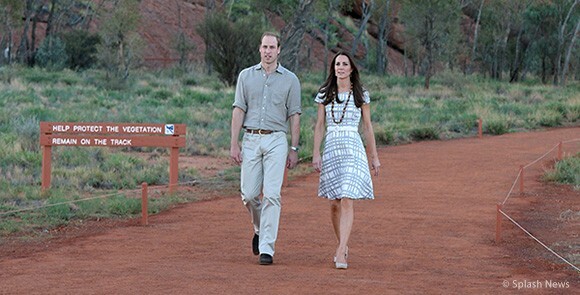 Kate wore the dress in a cream colour with a grey check pattern. The dress originally retailed at Hobbs London and John Lewis for £119 (approximately $187). 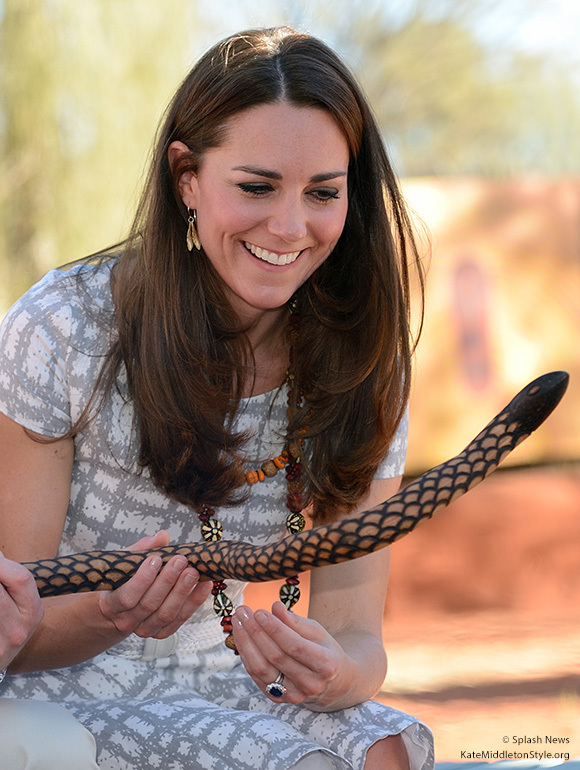 You’ll notice in photographs that Kate wears a white belt with her Hobbs dress. This is something she added herself, the belt did not come with the dress. Sadly, the Hobbs Wessex dress is sold out. Though, you might find it on eBay. 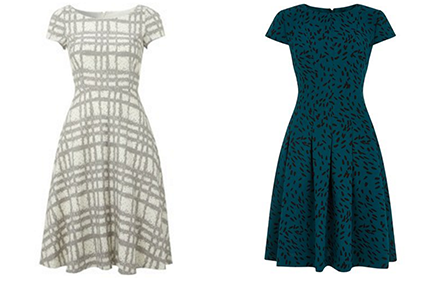 If you’re looking for something similar, try Hobbs London’s Lottie dress in blue (below right). As of August 4th 2016, it is available in most sizes. It’s on sale too (33% off). The darker colour tones are perfect for the forthcoming autumn season. The Lottie fit-and-flare dress is a figure-enhancing style with vintage appeal. This printed dress has been sculpturally inspired, with vertical panelling and pleating to create the striking silhouette with full skirt. Fully lined, the crepe textured fabric has a brush-stroke dot print. Perfect for parties where the dress code may feel uncertain. Hobbs London periodically re-release the Wessex dress in new and updated colour ways. 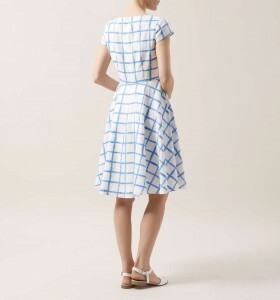 In summer 2015, they released the dress in a cool cornflower blue and white combo, but it’s now sold out, unfortunately. 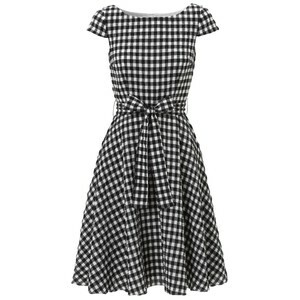 The Wessex dress also came in a black check print with bow waist detail. It’s also now sold out. 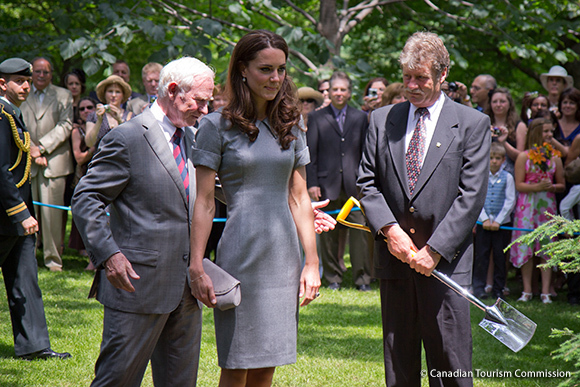 Here’s Kate wearing another Hobbs London dress. It’s the company’s “Animal Shirt Dress”. She wore it to an event with The Fostering Network back in 2015.